Synonyms: Adolia discolor, Araliorhamus punctulata, Araliorhamus vaginata, Phyllogeiton discolor, Scutia discolor. Other names: Brown ivory, dog plum, mountain date, wild almond, Qanantab, Jajaba, Jejeba, Deen, Dheen-den ro’o, Kor’guba. Bird plum grows naturally in various climates, from semi-arid areas to areas receiving rainfall in 4 years out of 5. It is found scattered in semi-desert grassland, open woodland or at lower altitudes along river valleys, especially on termite mounds. This tree tolerates drought but is damaged by frost or cold wind. Leaves, alternate or sub-opposite, entirely or obscurely crenate, shiny above, dull and glaucous below, broadly elliptic, ovate or obovate-elliptic-lanceolate, 2-9 x 2-5 cm, obtuse or acute at the apex, rounded or cuneate at the base; leaf stalks glabrous or pubescent, 1-1.8 cm long. 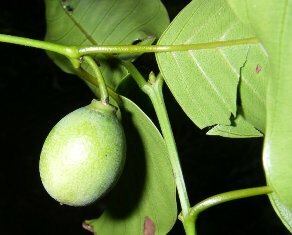 Flowers, small, solitary, thick, oblong or ellipsoid, 4-5 mm in diameter, greenish when young, turning yellowish after ripening. Fruits are shaped like date, yellow, up to 20 x 8 mm; edible, sweet. Seeds flat, 1-2 per fruit. Bird plum fruits are eaten fresh. They taste like dates. These are also sold in markets. The sugar content of the pulp is as high as 30%,. The vitamin C content is 65 mg/100 g. A beverage similar to tea is made from the leaves. Large quantities of the fruit are collected, dried and stored and later used by people in the low veld areas of South Africa. Fruits are soaked in water over-night and the solution collected next day is very much liked by people. The fruit can also be boiled to be eaten with sorghum. In certain areas people use the leaves of this tree to make tea. 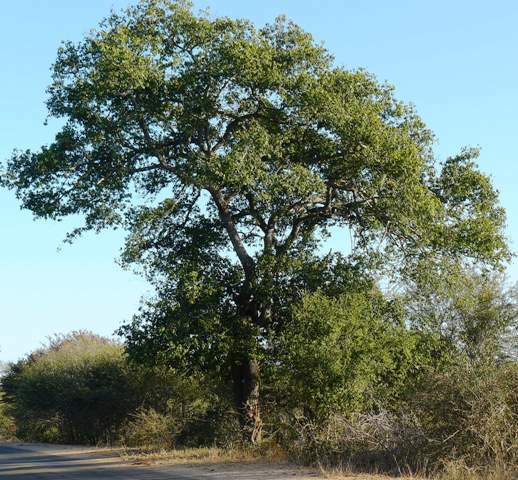 The yellow-brown wood is one of the hardest in East and Central Africa. It makes excellent furniture, pestles, ladders, poles and is used in general construction. The roots produce a black colour, the wood brown, and the bark red. The species is multipurpose and is used for construction, furniture, bee forage, and fodder, ornamental, for resin and for shade. The powdered heartwood and the roots can be used to produce a black dye that is used by basket makers. Bird plum grows best on sandy clay loam soils in areas where the rainfall ranges 25 and 125 cm. It thrives best in open locations with plenty of sunlight. 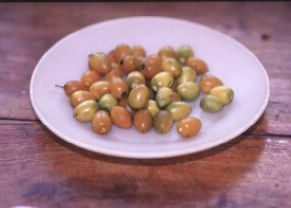 New plants of bird plum can be raised from seed, root suckers and by coppicing.